Luxuria is an exclusive waterfront luxury condominium development located East of South Ocean Blvd. and north of East Camino Real. The Oceanfront estate-style condominiums with huge back terraces, offer the finest in Florida beach living. Built on the famed A1A (South Ocean Boulevard), Luxuria offers both easy access to the Boca beach life with the relaxation, comfort and quite of upscale resort-style living. The condos themselves have above par square footage for this type of building because quality, not quantity, was a theme when construction began and was completed in 2008. Long terraces in the back provide great views of the tropical surroundings, and the architecture has Italian and Mediterranean influence. There's an elite style of living - then there's one step above that - Luxuria. You have worked hard your whole life and this is the kind of living environment that will continue to reward you for your efforts. With only 26 ultra-superior condominiums making up all 10 stories of the amazing tower, Luxuria puts selectivity to a whole new level. At Luxuria, you will immediately notice the difference when you walk into the elegant and roomy two-story lobby after leaving your car with the valet. 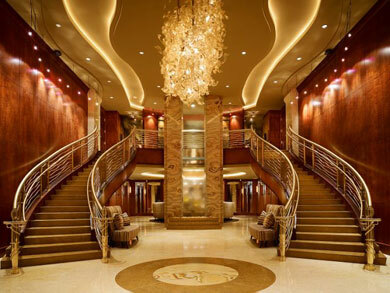 And the class doesn't end there, as you take a fingerprint-supported elevator to your estate residence condominium. Enjoy marble floors, keyless entry, spa bathrooms, gas fireplace, new appliances and for some, private pools and a midnight kitchen. The spectacular single family oceanfront condos range in size from 4,500 to 12,000 square feet. The Luxuria development is situated on 2.5 acres with over 265 feet of beach to enjoy. Mizner Grande Realty specializes in luxury oceanfront living, bringing the Florida lifestyle to you. For a private tour of this spectacular property, Vinnie Morea, President of the Luxury Condominium Division at Mizner Grande Realty.